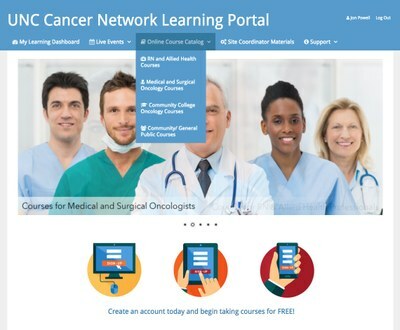 There has never been a better time to take advantage of the UNC Cancer Network’s Learning Portal! We now have fifteen different self-paced, online courses FREELY available. All of the courses offer one-hour of CNE and ASRT certification, and seven also offer one-hour of CME certification. If you have not already done so, please visit our portal at https://learn.unccn.org/ to register and look over all of the free courses we have to offer. Two new courses will be added each month. I hope that you will be able to join us for our two free, for-credit live lectures this month (details in the newsletter) on July 11th and 25th, at noon. You may go to https://unclineberger.org/unccn/events to register today. If you miss either of these, we will make certain that they are available in the Learning Portal as self-paced, online courses before the end of August. As always, please know how much we value your participation in The UNC Cancer Network. Please continue to spread the word regarding our free, for-credit oncology lectures, and don’t hesitate to contact us with questions and feedback. Researchers led by UNC Lineberger’s Chad Pecot, MD, report in the journal Nature Communications that for a particular subset of lung cancer tumors, there is a high prevalence of immune cells called inflammatory monocytes. These cells, which normally help to build clotting scaffolds to promote wound healing, also make it possible for tumor cells to migrate and spread to other parts of the body. Previous studies have classified lung squamous carcinoma – which accounts for about 30 percent of all lung cancers — into four different types based on their biological and molecular characteristics. In the new study, Pecot and his collaborators found that lung squamous carcinoma could be reclassified into just two different categories based on whether they showed a high presence of inflammatory monocytes. They used expression of the CD14 gene as a biomarker to show that high presence of this immune cell was linked to poor survival. 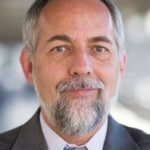 “Our results, which are also based on numerous bioinformatics analyses, shed new light on tumor microenvironment functioning and, potentially, may lead to new approaches for targeting the metastases of this extremely aggressive disease,” said Alessandro Porrello, PhD, researcher at UNC Lineberger and the study’s first author. By genetically modifying the expression of CCL2 in a metastasis model developed in their laboratory, they found low expression was linked to reduced metastases, while high expression was linked to enhanced metastatic features. They also demonstrated that the presence of a clot made it easier for cancer cells to move and migrate. Also, when looking at tumor samples from patients, they found that tumors with high amounts of the fibrin cross-linking was associated with an increased risk of the tumor spreading. In addition to Pecot and Porrello, the other authors include Patrick L. Leslie, Emily B. Harrison, Balachandra K. Gorentla, Sravya Kattula, Subrata K. Ghosh, Salma H. Azam, Alisha Holtzhausen, Yvonne L. Chao, Michele C. Hayward, Trent A. Waugh, Sanggyu Bae, Virginia Godfrey, Scott H. Randell, Cecilia Oderup, Liza Makowski, Jared Weiss, Matthew D. Wilkerson, D. Neil Hayes, H. Shelton Earp, Albert S. Baldwin, and Alisa S. Wolberg. Individual researchers were supported by the National Institutes of Health, a Mentored Research Scholar Grants in Applied and Clinical Research award from the American Cancer Society, the Jimmy V Foundation, the University Cancer Research Fund, the Stuart Scott V Foundation/ Lung Cancer Initiative Award for Clinical Research, the Lung Cancer Research Foundation, the Free to Breathe Metastasis Research Award, Susan G. Komen, the National Institute of General Medical Sciences, and the National Cancer Institute.